Tiered sliding organizers, that slide back easily, make the perfect home base for utensils and small items. 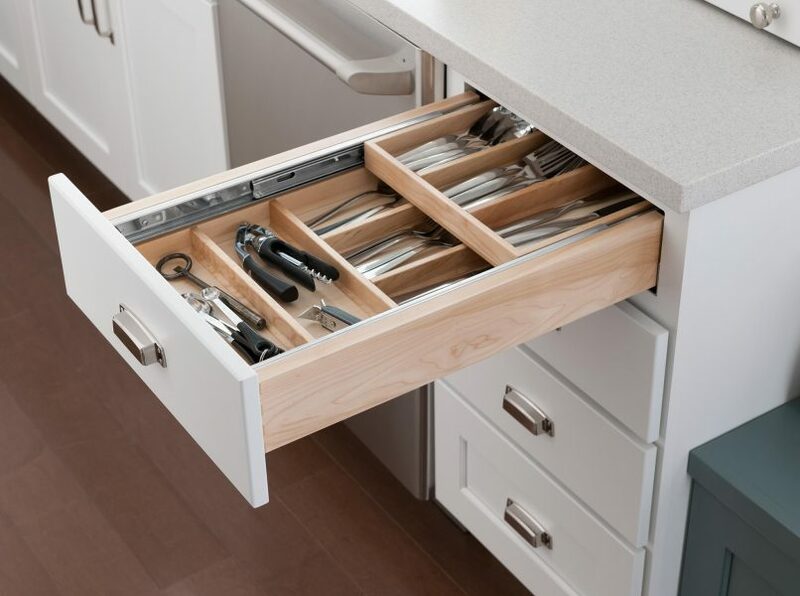 Includes two tiered cutlery divider constructed of maple in natural finish installed in drawer box; drawer guides not included. Top tier operates on Accuride full extension guides; lower tier is accessed by pushing top tier back into cabinet.